Here is the cover of the next story from Tsogen of Japan - The Clue in the Diary. Guess that's Ned peering over Nancy's shoulder helping her decipher the Swedish in the diary. Glad that they are continuing to publish these - hope they are selling well. Okay, so this may or may not be the Holy Grail of foreign edition Nancy Drews - a copy in Korean! 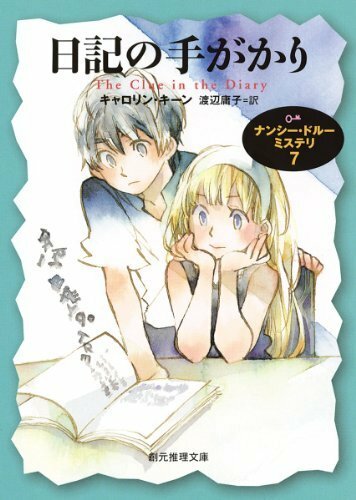 From a library database, I had previously confirmed the existence of a single volume from the series that was translated into Korean, but I did not know what the book looked like. I found this image online, and it certainly looks like it could be a translation of Crossword Cipher. In fact, the llama, parachuter and Andean poncho are all very reminiscent of the Armada (British) cover from the 1980s. Furthermore, in the British numbering system, Crossword Cipher is #5 and there is a "5" on this cover. What's cool about that is that maybe there were 4 (or more!) other titles translated into Korean. 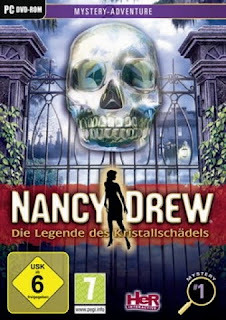 So if anyone out there can translate the text on this cover and possibly confirm that this is indeed a Nancy Drew title, I would be so thrilled! Next hurdle - finding an actual copy for my collection! The popular Her Interactive game The White Wolf of Icicle Creek is the only mystery that is available for Wii at this time. A French version has recently been released in this format, but they have elected to go with a different cover than the US version. 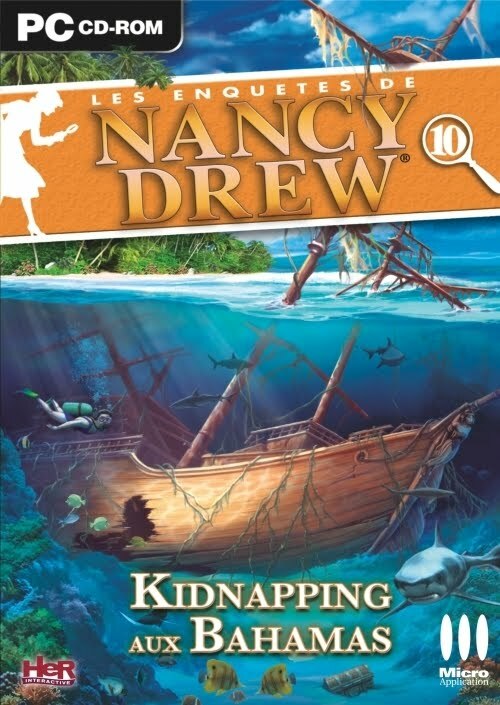 Oddly enough, it features Nancy on the cover, despite the fact that one of the gimmicks that Her Interactive has consistently employed is that you never see Nancy in the games (because YOU as the player are Nancy Drew). 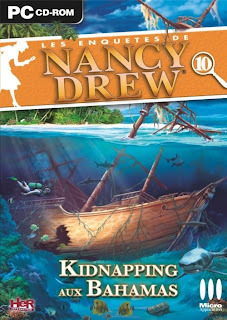 I am also uploading the cover of the new French HI game, Kidnapping Aux Bahamas (Ransom of Seven Ships). 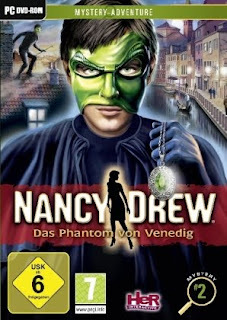 dtp Entertainment AG has released 2 titles from the Her Interactive library in German. #1 is Die Legende des Kristallschädels (Legend of the Crystal Skull) and #2 is Das Phantom von Venedig (Phantom of Venice).